Singapore was a fascination to me. Anyone who had been there had beautiful memories to share. One day, I thought I should see it for myself. So, just after my marriage, the first place we decided to go to was Singapore. We planned a week long trip to the country and had 5 days of pure fun planned out. You cannot miss this. If you love all things nature, guaranteed you will love Gardens by the Bay. The gorgeous nature park spans a whopping 101 hectares of land and showcases the most exotic of the flora and fauna. Whether you have or have not travelled the world, this one place will take you to the farthest of the lands and let you experience their eco system. Probably my most jaw dropping moment in Sigapore was at the S.E.A. Aquarium. The humongous sized manta rays are a beauty to look at. That + getting to have lunch while the manta rays are hand fed by the aquarium humans, that was the icing on the cake ! They even have shark feeding shows every Tuesdays and Saturdays. Want to know how Singaporeans spend their evenings after a long day at work? Take a walk throught the riverside waterfront of Clark Quay. it’s one of the busiest places in town and has a ton of entertainment options to choose from. From live music, to boating, and shopping, you can’t get bored here. My favourite ride at Universal Studios. I didn’t quite mind standing in the queue a second time to experience a Gotham like city with devils coming at me from all directions. It was 4-5 minutes of crazy adventure ride which gives me goosebumps as I type. Oh, how much the husband loved this part of our tour of Universal Studios. He was a child who was meeting his favourite cartoon and getting clicked with the minions. It’s superb fun, and its just not minions, you have so many other disney characters you can meet here. Get your inner child out and enjoy the fun. How can any vacation be over without shopping involved? 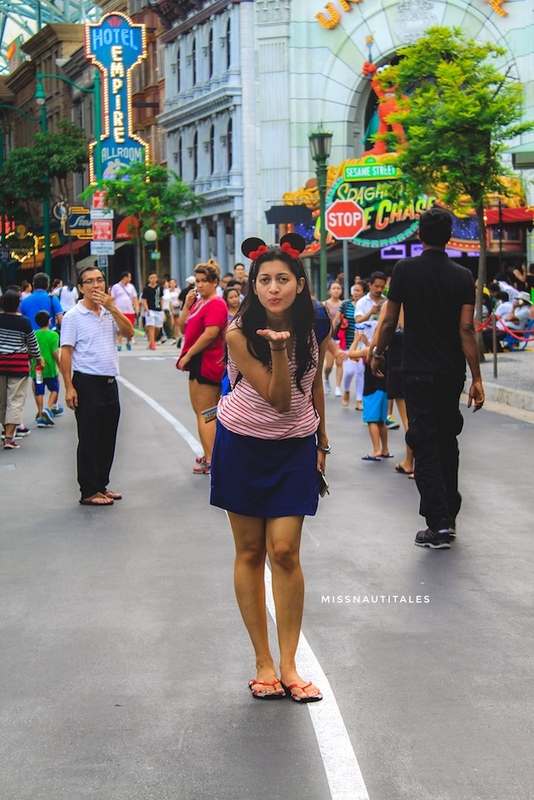 Bugis Street is one of the best shopping destinations in Singapore if you have passion for fashion. The clothes are chic, yet affordable making it a great shopping experience. I got to do it, and oh man, did I love it or what. It was an experience that has become a conversation starter for so many of our dinners. The bird show itself is pretty fantastic and it’s amazing to see how these wild beauties fly about in the wild. #8 Pack your own food if you are a vegetarian ! Oh, very very important. I survived Singapore pretty much on a mayonaise pack with some chips and bread my entire week. It’s sad but the stench of food is just too overpowering. Imagine, I am a sea food person, and I still couldn’t handle the look of the street food. So if you are a fussy eater, better pack your food in advance. I don’t want to give out the details on this one. Just try it. There is always a crowd at this stall which makes Nitrogen desserts. The dessert itself is nothing spectacular, but the nitrogen experience is pretty fun.